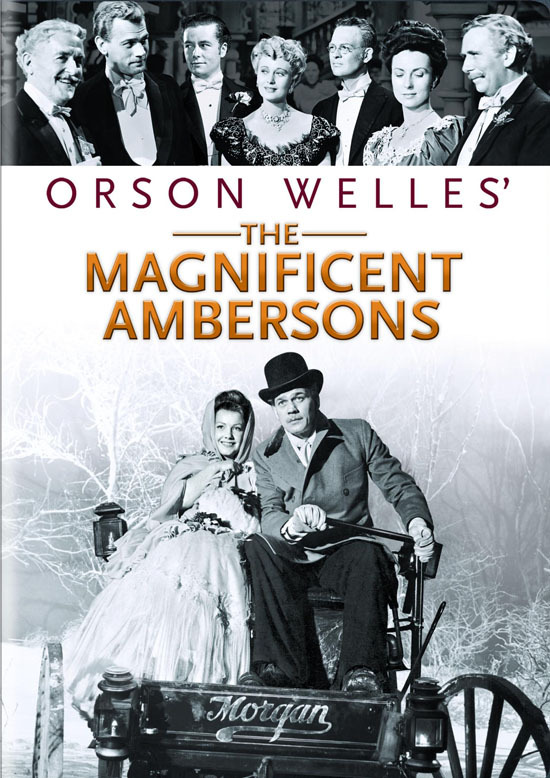 For years now, Orson Welles’ flawed, mangled masterpiece The Magnificent Ambersons (1942), the follow-up to his legendary debut, Citizen Kane (1941), has languished in the public domain. Often looking like an old photograph that’s been left in the sun, it would show up periodically on television in a faded print, sometimes scratched and occasionally hard to hear, resembling a rough diamond dug out of the sand. The fact that the film, based on Booth Tarkington’s 1918 novel, is about the fall of an American aristocratic family in the early 1900s just as modern industrialization consigned their fortune and social position to history’s dustbin was no convenient irony. 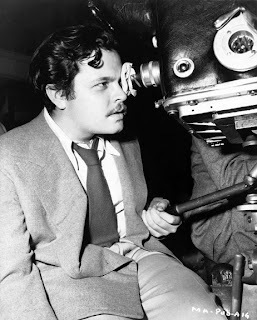 Orson Welles’ own claim to fortune, his struggle to climb to the pinnacle of becoming America’s great dramatic film stylist in the early years of sound, would find its own dustbin in the years to follow. Years of promising projects damaged by lack of funds (Chimes at Midnight, Othello), or great work marred by studio interference (Touch of Evil), would become the norm rather than the exception. Since Welles’ career had been marked by small victories between broken hearts, the fact that Warner Brothers has finally acquired the rights to release The Magnificent Ambersons on DVD is good news indeed. It can now finally be seen in a digitally mastered print with much improved sound quality. But the bad news, and bad news always stalked the director like an unearned curse, is that there is no supporting material included; that means no commentary from a critic or historian, no documentaries, or even a booklet to tell the story of how the man who made Citizen Kane lost final cut of a movie that had more substance than his stunning entrée. After the introduction, we jump years later, as the widowed Eugene Morgan (Joseph Cotton), a wealthy automobile manufacturer, has returned with his daughter Lucy (Anne Baxter) to attend a reception for George (Tim Holt), who is now being honored during his break from college. But Eugene has no interest in celebrating the life of George, instead he eagerly looks forward to seeing his mother Isabel (Dolores Costello), for whom he still carries a torch from his youth. (Eugene lost his opportunity to win Isabel's hand when he unwittingly embarrassed her while trying to serenade her.) While George despises Eugene for both his cars and Eugene's love for his mother, George is romantically drawn to Lucy. 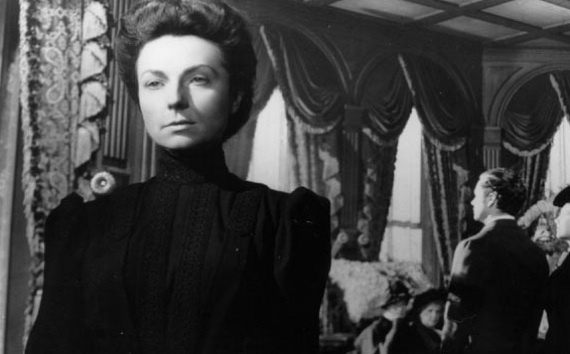 The Magnificent Ambersons is about how the changing times transform people and their social standing, but it is also about how time waits for no one. Despite Eugene’s love for Isabel, circumstances prevents each of them from consummating their unrequited love. George may ultimately get his “comeuppance” but it comes at a time when the people who desired it most are not there to witness it; and his fall does not bring easy satisfactions. 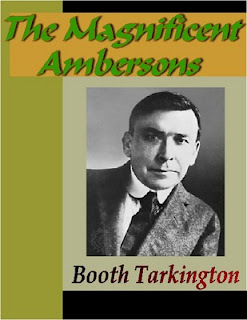 The story may be from Tarkington, but the underlying tone of the movie seems to come from Welles. With cinematographer Stanley Cortez using deep focused shots to bring the background into the foreground, we become party to the most private dramatic moments of the characters on the screen. 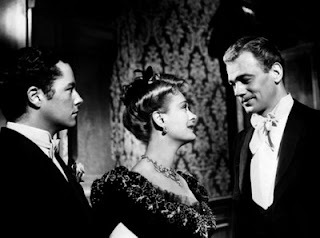 If it can be said that the film delves into the ellusiveness of fulfilling one's desires, The Magnificent Ambersons also draws us into the evocative echo chamber of the family drama where those neurotic tensions can’t be resolved. While it wouldn't be entirely accurate to say that Ambersons is a better work than Kane, it has a depth of feeling and detail that is far more substantial. After all, Citizen Kane is also about the rise and fall from aristocracy, but Kane is done in brilliantly conceived broad strokes turning the tabloid sensationalism of the Hearst papers against their creator. The political and psychological underpinnings of the picture however (though wildly entertaining) is conceived in the style of muckraking comic strips rather than with any dramatic depth. (In a great work, as opposed to a great entertainment, Kane’s tragic life would be comprehended using more than just the easy symbolism of a lost sled from his boyhood to explain it.) The Magnificent Ambersons has an affecting aspect, however, that’s missing in Kane because Welles uses the techniques he learned in radio (and those he discovered in making Citizen Kane) and applies them with a shocking intimacy into areas that lie behind the masks of social norms. What’s missing in Ambersons, however, what keeps it from achieving the impact of Kane, is the absence of Welles in the picture. It isn’t enough that he narrates the story. As fine as Joseph Cotton is at suggesting a man left satisfied by his creations, but melancholic over losing the woman he loves most, is that he lacks the dimension that Welles could have given the part. Cotton is too genteel. While the movie features the lovely delicacy of Dolores Costello, and Richard Bennett’s fine work as the grandfather, it’s Agnes Moorhead as the spinster Aunt Fanny who ends up giving Ambersons the force it needs. Moorhead had only a brief scene as Kane’s mother in Citizen Kane, but here, she gives a masterful performance as a woman who is both destroyed and fulfilled by her raging self-pity. Of course, the cutting of the picture also hurt it. More than an hour was sheared by RKO Studios with a different, more upbeat ending added without Welles’ permission. Even though his production notes still exist, the excised scenes themselves were either destroyed or lost. Despite its damaged form, though, The Magnificent Ambersons has perhaps been more influential than Citizen Kane. (Who could possibly even try to top the audacity of Kane?) For instance, you can feel the stylistic sensibility of Ambersons in Martin Scorsese’s failed attempt to bring Edith Wharton’s The Age of Innocence (1993) to the screen (especially in its opening scenes). You can sense the spirit of Ambersons, with its reverberating themes of the fragility of time, perhaps more successfully in David Fincher’s underappreciated, if not misunderstood, The Curious Case of Benjamin Button (2008). It’s curious that the DVD release of The Magnificent Ambersons has arrived with so little fanfare. But I don’t think it’s a simple matter of the picture being forgotten, or rejected due to its fractured state. It may instead be a sad reminder of things we care not to think about. That is, the picture is about people who look and try to act like they have everything, but they can’t get the things they truly want. In Ambersons, Welles gives us regrets but he denies them the kind of nostalgia that sometimes cheapens loss. “There aren’t any old times,” Eugene says when someone turns sentimental at George's celebration party. “When times are gone, they’re dead. There aren’t any times but new times.” Well, there couldn’t be a better time for the release of The Magnificent Ambersons. 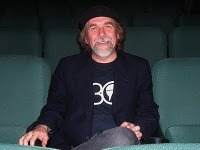 – Kevin Courrier is a writer/broadcaster, film critic, teacher and author (Artificial Paradise: The Dark Side of The Beatles' Utopian Dream). His forthcoming book is Reflections in the Hall of Mirrors: American Movies and the Politics of Idealism. In January 2012, at the Miles Nidal Centre JCC in Toronto, Courrier began a lecture series (film clips included) based on Reflections. Check their schedule. With John Corcelli, Courrier is currently working on another radio documentary for CBC Radio's Inside the Music called The Other Me: The Avant-Garde Music of Paul McCartney.